A Sarasota man is suing Royal Caribbean Cruise after managing to injure himself on an onboard trampoline. The cruise ship, which was traveling out from Miami, offers a new attraction known as The Skypad. The Skypad is designed with bungee cords and a highly resilient trampoline that propels visitors far into the air. Visitors can perform acrobatic flips and other maneuvers. The trampolines are also inside of a cage to prevent users from exiting the deck. Unfortunately for Casey Holladay, something went terribly wrong. According to the lawsuit, Holladay’s bungee cord snapped and he flew over his deck, dropping 20 ft onto the deck below. The 26-year-old sustained serious hip injuries that may hobble him for the rest of his life. The loss for Holladay, who, according to his attorney, is very athletic and enjoys sports, is life-altering. His attorney also says that the placement of the attraction created an unnecessary risk to passengers and that the matter is still under investigation. In cases like these, folks often ask how damages are calculated in personal injury lawsuits. Similarly, they figure that there is an average settlement for these types of cases. But there isn’t. In a case like this, you have a very active young man who is in good shape and enjoys sports who potentially suffers an injury that will deprive him of that for the rest of his life. 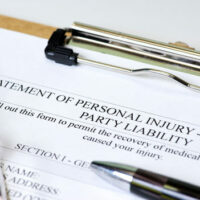 When calculating damages in a personal injury lawsuit, that needs to be accounted for. In other words, the loss to a man like this is not the same as the loss to an individual whose main sources of recreation are playing video games and watching Netflix. Caribbean Cruise line is the most obvious defendant in a lawsuit like this. They should have tested the bungee cords before allowing them to be used. Had they done so, the bungee cord wouldn’t have snapped. Unless the plaintiff himself did something to weaken the bungee cord, there is no way that they could claim that the lawsuit was even partly his fault. Additionally, if the placement of the attraction contributed to the extent of this young man’s injury, they are liable for his injuries. On the other hand, the plaintiff may also have a case against the company that manufactured the bungee cords. Since they failed in their only function, and this caused a severe life-altering injury, chances are, they bear some of the responsibility also. The question then becomes: How was the bungee cord weakened to the point of no longer being capable of supporting enough weight to tether a person to the attraction. Amusement parks and pleasure cruise lines have a responsibility to ensure the safety of their passengers. When they fail in that responsibility, they are liable for damages. If you’ve been injured at an amusement park or on an attraction, give the Miami personal injury attorneys at the office of Alan Goldfarb P.A. a call or talk to us online to set up a free consultation. We can help.